Jim Mulvihill: Welcome, everyone, to this week’s Road to the Breeders’ Cup national media teleconference. Today we preview one of the great racing weekends of the year. From Friday to Sunday we’ve got eight graded stakes at Belmont Park, seven at Santa Anita, and one each at Churchill Downs and Remington Park. Of those, 10 are Grade 1s; five at Belmont, five at Santa Anita. All of those Grade 1s on one incredible day of Breeders’ Cup prep races this Saturday. That makes it easily the biggest day of the year for the Breeders’ Cup Challenge Program. Eleven Saturday stakes are “Win and You’re In” propositions. That’s all of the US Grade 1s except for the Beldame, plus a pair of juvenile turf stakes at Newmarket. Naturally, with all these major stakes there’ll be plenty of stars out this weekend. Chief among those will be undefeated three-year-old, Shared Belief, one of the leading contenders for the Breeders’ Cup Classic, heading the Awesome Again at Santa Anita. At Belmont, the Jockey Club Gold Cup features Belmont winner, Tonalist, and Travers winner, V.E. Day, as well as Whitney winner, Moreno. Now both of those Grade 1 stakes for Breeders’ Cup Classic hopefuls will be part of a two-hour national broadcast on the NBC Sports Network. That’s part of their Breeders’ Cup Challenge series, and that starts at 5:30 p.m. Eastern. Most of these big stakes will also be on satellite radio. 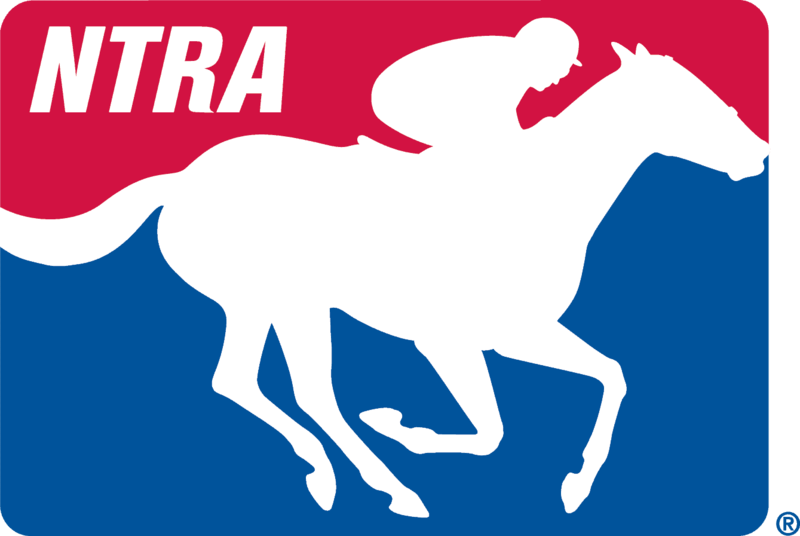 The Horse Racing Radio Network is live Saturday from 3 to 9 p.m. Eastern on Sirius and XM Channel 92, and online at Horseracingradio.net. Now, we’ve got a very interesting lineup of personalities today. Later in the call we’re going to visit with Eric Guillot, the colorful and often controversial trainer of Moreno, as well as Richard Mandella, a Hall of Famer and the trainer of two-time Breeders’ Cup winner, Beholder. But first, we’re going to kick off with trainer Jimmy Jerkens. He’s in the midst of a superb year. I’ll give you a little background before we bring him in. Jerkens is a native of Long Island, where he grew up the son of Hall of Fame trainer, Allen Jerkens. He spent 20 years as an assistant to the “Chief” before going out on his own in ’97. Since then he’s won more than 650 races while maintaining a 21% career win clip. He’s won two Breeders’ Cup races with Artie Schiller and Corinthian. He’s won the Travers with Afleet Express, and this year’s upset winner, V.E. Day. On Saturday, V.E. Day will be one of the two top three-year-olds that he saddles in the Jockey Club Gold Cup, along with Travers runner-up and Wood Memorial winner, Wicked Strong. Jimmy Jerkens, thanks for joining us today. Jimmy Jerkens: Thank you. Thanks for having me. Jim Mulvihill: Oh, it’s our pleasure. You know, before we get into the bigger picture of your three-year-olds this year, let’s just start with the basics of how each of them are doing this week. V.E. Day worked yesterday at Belmont, and I understand you chose to go on the training track. Jimmy Jerkens: Yes, well the main track just didn’t look like it was in good enough shape. I kind of really wanted to breeze him on the main track, but I just didn’t—I thought it was a little risky. So, you know, he’s just as willing on the other track, so I thought just for safety reasons that it was wiser to go to the training track. Jim Mulvihill: How did the work go? What did you see? Jimmy Jerkens: It went very good. I mean he had a nice work about eight days before that. He went a little faster than I wanted, and he went seven or eight in 27 and change and galloped out a good mile. It was a little stiffer than I wanted him to do, so I opted to wait instead of going the following week, I opted to wait another day or two and give him works a little shorter at a pretty—at a decent clip, which he did. I thought he worked perfect. Jim Mulvihill: Excellent. Wicked strong went three quarters on Saturday. Tell us how he came back from the Travers, and what did you think of his last work? Jimmy Jerkens: Very good. I mean both horses I can’t—knock on wood, it’s incredible how they came out of that race. So, you know, they might’ve left a little bit of (inaudible), you know, just one day afterwards, and from that day on they were—they got right back on schedule like any—which is all you could hope for when you’re in that spot. You know, horses that come out of a long grueling race like that to come out of it as good as they did, like it’s—you know—I’m really thankful for that. Jim Mulvihill: That’s great to hear. Now, would you mind just reliving the Travers for us? Tell us how you felt that final sixteenth when V.E. Day was making up all the ground and then you realized that you might have the top two, which ultimately you did. Jimmy Jerkens: Yes, well I realized, you know, pretty—like inside the eight pole it was going to be between our two, right? I thought Wicked—I thought he was going to hold out, but the other horse switched his lead and surged the last three jumps and really just surged forward and nailed him just right on the wire. I mean it was really the very last jump. It was disheartening for Wicked Strong. You know, he ran so hard he didn’t cut out the pace, but he was pretty close to a lively pace. He pretty much ran all the way. I thought he lost thought he lost a little more ground on the first turn than he needed to, and that might’ve cost him at the very end, but outside of that I thought Rajiv rode him perfect. But in these New York tracks, especially at Saratoga, it seems to really tell on you when you lose ground early in the race. But that’s probably being a little too picky, but, you know, when you get beat by that short of margin at the very last jump, those little things—you know—well, you’d have to think they mean something. Jim Mulvihill: Right. Well, and it’s when your own horse, it doesn’t quite hurt as much. Danny Brewer: V.E. Day, the final yards of the Travers when he just gobbled it up and won the race, what does that tell you about him? Jimmy Jerkens: Well, I think it’s probably that obviously he’s a very good horse; a horse that just rose to the occasion and has great stamina. He went every bit as far as every other horse in the race, and granted he had a very good great ground-saving trip and a great ride by Javier, but still, a mile and a quarter is a mile and a quarter, and to have that kind of run at the end of a mile and a quarter race, really means something. Danny Brewer: Okay, so that’s four wins in a row for him. How has he matured over the last two to three months? Jimmy Jerkens: Well, obviously when you’re doing like he’s doing, it shows in all spots. I mean he’s a much bigger, stouter, stronger horse than he was three months ago, and you don’t develop like he has unless you’re developing in all areas; in size, and temperament and everything, and he certainly has. He’s just a horse with a lot of class and lucky for us he’s developed the right way. Danny Brewer: Talk for just a second about the challenge of having horses like Wicked Strong and V.E. Day and in the same race. Is it something you think about or just another day at the office for Jimmy Jerkens? Jimmy Jerkens: Well, it’s not another day in the office. Obviously to have two horses of that caliber, they’re both going to be horses with decent jocks in the race you have to go at it like not another day at the office, but you can’t get distracted by the size and how meaningful it is and all the stress to it. You have to buckle down and pay attention and train them as if it was any other race that you were trying to win. -it can get distracting. You can’t let these things distract you into doing things you wouldn’t otherwise do, and I think we’ve done that, and both horses are just doing so well, you know, helps that along. I haven’t really seen anything that I’m wary about with either one of them. I’m really happy with how they’re both going into the race, so that really helps my job a lot. They’re just two very classy horses that have really made my year, no question about it. Tim Wilkin: Has V.E. Day matured and gotten better faster than you thought he would? Jimmy Jerkens: Yes, kind of, because he took quite a while from the fall of his two-year-old year to the springtime to come around. That’s a good question, because when I first got him we couldn’t keep any flesh on him and he was kind of a nervous type. He improved some when we got down to Florida, but his workouts were kind of spotty. We even entertained the thought of running him for a high priced claiming race. Thank God we didn’t, but we were toying with that idea, because he was taking a long time to kind of turn the corner. Then all of a sudden after his second turf race, maiden turf race, he seemed to kick in and he’s just been doing everything right ever since. It’s one of those strange things. Horses can really surprise you that way. They can go the other way, too, quick on you, but this horse, he’s bred to kind of develop like he has, especially on his dam’s side, I’m glad we stuck it out and gave him every opportunity. Tim Wilkin: Did he frustrate you early? Jimmy Jerkens: A little bit. He did a little bit, but like I said, he was very spotty in his workouts, and he would lose weight it didn’t seem like for any particular reason, just like maybe his nerves were getting the best of him. But I guess he just all of a sudden started to grow up, and he’s just improved in leaps and bounds in the last three months. Tim Wilkin: Is there any thought at all of separating them and not running both in this race? Jimmy Jerkens: Well, there really weren’t many options. I didn’t think the Pennsylvania Derby was the right spot for either one of them, so after that there weren’t many options. I didn’t see anything else to do, especially both coming off a mile and a quarter race, at least they had that under their belt, and it’s right in our backyard, I didn’t really think it made much sense to do anything else. Tim Wilkin: Wicked Strong, as well as he ran in the Travers, some people—I mean I know it sounds crazy, but have some people forgotten about him and are focusing on V.E. Day? Jimmy Jerkens: I don’t know. It’s funny that you say that. My wife asked me that last night because how come V.E. Day’s work is on YouTube and Wicked Strong’s isn’t? She said, boy it sure doesn’t take long. Certainly there’s nowhere near the hype before the Travers or before the Derby and everything like that, but he certainly has had his share of it this year, and he certainly didn’t disgrace himself. Probably on that particular day it probably would’ve been a little more important just for that particular timeframe for the order to have been reversed just because it would’ve made Wicked Strong —to win the Jim Dandy and the Travers, it would make him a dual Grade 1 winner, just for that particular reason it might’ve meant a little more had he won. But, God, how could you ever take anything away from a horse that wins the Travers. So, believe me, we were thrilled with the outcome. Art Wilson: Other than your two horses, who you are understandably very high on, and keeping in mind that there’s still, you know, two pretty big races still to come this year, who would get your vote right now as the top three-year-old? Jimmy Jerkens: Oh, I guess you’d have to say Shared Belief. I mean even though he hasn’t left California, you win like he does and you’ve beat all the horses, I mean even though he’s stayed there, you’d certainly have to give him the nod. Art Wilson: Okay. How do you look at the race on Saturday, the Gold Cup, as far as the other—the rest of the field? How do you see the race shaping up? Jimmy Jerkens: Well, I guess Morenoll—I can’t see him doing anything than what he usually does; you know, try to get brave on the lead or be real close. I don’t know, I mean Zivo comes from out of it and that other horse comes from (inaudible) and Wicked seems to be running his best races; stalking a little closer than he used to earlier in the year. So it figures to be a race that should because of the distance and all the horses have proven what their favorite running style is, it should be a race that, you know, should run according to form; at least early on anyway. Art Wilson: I know you can never tell for sure, you know, sometimes the race looks on paper one way and it goes totally different when the race is run, but do you think there’s enough speed to go with Moreno? Jimmy Jerkens: Probably you can’t ride your horses much different than if—I don’t think you can ride to beat one horse. So if that’s what happens if he’s alone on the lead, you probably just have to let it be. One thing about Rajiv, he’s a real good judge of pace and I think he’ll know how close to be without taxing him for the end. I think he’ll know how close he has to be and he’ll be able to tell how fast Moreno is going, so I’m really confident in that. V.E. Day—I can’t see him doing much different than lagging a little bit earlier in the race. For that long run down the back stretch he might get into gear a little earlier than he does in the two-turn races. But it’s the same thing. You can’t go against a horse’s style that he’s used to and expect him to finish,t—I can’t see either of our horses being ridden much different than they had in the past. Tom Pedulla: Yes, Jimmy, I was wondering what your—what you might’ve said to your father, what he might’ve said to you after the Travers, and just what your having that kind of day meant to him? Jimmy Jerkens: Well, he was thrilled, but at first he didn’t know the other horse that won was my horse until my sister told him. They were watching it together and he was wondering what she was jumping up and down about. He said he got beat. Didn’t you see he got beat? She said, yes, but the other horse was Jimmy’s. It was kind of a shock to him. Oh, yes, but he was beside himself. Tom Pedulla: Did he say much to you, Jimmy, that conveyed his feelings? Jimmy Jerkens: Not a whole lot. You know, he’s not a man of many words, but I could tell the treble of his voice, how he felt. He never was one to embellish things like that, d—like I said, you could just tell—if I could see his face, I could see the look on his face, but I could tell—I could just tell in the few words that he said it was almost like it happened to himself, so it was terrific. Jennie Rees: I’m wondering if you could just sort of talk about the emergence of this three-year-old crop that maybe earlier in the year they didn’t get a lot of respect, but now it seems like they are the horses to beat. Shared Belief, if he wins probably will be the favorite maybe for the Classic. You know, the older horses looked so tough and where are they now? Except for Moreno and Itsmyluckyday, so many of them are gone. So could you just sort of talk about the three-year-olds and how they’ve come to the forefront this year? Jimmy Jerkens: It’s just the way it happened. You know, we’ve had some late developing three-year-olds come into their own, and the older horses had run hard earlier in the year and are just kind of falling by the wayside. It’s just the way it happens some years, and like you said, it looks like the three-year-olds even against the older horses look like they might have a little bit of the upper hand. But, again, it’s just the way it happens. You know, I can remember a few other years where it was like that, but, racing, it’s tough and grueling on horses, and it just seems it just happened to take its toll on the older ones. Jennie Rees: Yes. Both your horses here, would they look to be in training next year; these owners? Jimmy Jerkens: Yes. I guess it depends on the next two starts I guess, but it sounds like, Mrs. Bryant would love to continue racing V.E. Day and the same with Centennial. I guess it all depends on things that have been ironed—deals that have been done with where they’re standing to get stud and stuff like that, which I’m not really that familiar with. But like I say, they’re starting, and if she was to go to the Breeders’ Cup and something good would happen there, it might mean—I don’t know, it might mean retirement. But that’s getting kind of ahead of ourselves. But as it stands right now, both owners would love to race their horse next year. Jennie Rees: Yes. You said you were thrilled with the outcome of the Travers and obviously, you know, deservedly so. But it struck me when you were talking to Jim about Wicked Strong and how you just seemed like very sort of sad for him that he ran so big and got beat, and I wondered with the whole experience, it’s thrilling but was it hard at all I mean when you had to talk to the Centennial people, or (cross talking)? Jimmy Jerkens: Oh sure. But thankful for me they were very classy about it. I’m sure initially it was very—incredibly frustrating, and it was for me also, but I felt fantastic on one end and not so fantastic on the other. It was a roller coaster of emotions right after the race. But, you don’t get into these situations too often where you have two horses that looked like they had legitimate chances, and owners want to run, what are you going to do? You can’t just favor one over the other, you just (inaudible) fair. All owners are working hard to try to get good horses and pay all their bills for all their upkeep and everything like that. If the opportunity’s there, you certainly got to give it to them. Both horses are coming off terrific races where it looked like the distance would suit them if not as much at least as much as anybody else that was running a million dollar race, —as long as they were both doing good there wasn’t much decision to make but to run them both. Jennie Rees: Yes, well you know how it’s tough to get even one horse to a race like that let alone two and then have them both run so big. Did it kind of amaze you even though you felt something like a guy like Pletcher that I mean that’s—there’s been a lot of races that he’s finished, you know, one, two—one, three, and in stuff like that. Do you wonder how these guys do it? Jimmy Jerkens: It was just one of those things we worked very hard trying to get them there, but at the same time you’ve got to have a lot of luck. You’ve got to have a lot of luck on your side. Everything has to go right. The weather was very good up there. We were always able to get our workouts in at the right time, and we had both jocks on our horses that were riding in career form I thought; Rajiv and Javier. You know, it’s like my father said, to win—for things like that to happen it has to be a combination of things coming together. There isn’t any one thing that’s going to win a race for you. Everything just jelled, and I mean the whole meet for us was fantastic, and it was something we’ll never forget, that’s for sure. Tom Pedulla: Yes, Jimmy, you’ve kind of indicated that V.E. Day is a horse who’s blossoming; really coming on these last three months. What would you say about Wicked Strong? Has he just sort of maintained a high level, or what could you tell us about him? Jimmy Jerkens: Yes, I mean he’s done these two races in Saratoga, —I think both were terrific, and I think he’s been every bit as good since then. So I’d be very surprised if we didn’t see at least the same kind of effort out of him on Saturday. Tom Pedulla: So just maintaining that high level? Jimmy Jerkens: Yes, he’s doing very well at least by today’s standards, I think he’s had a somewhat kind of a grueling schedule this year, and he’s held up to it like a trooper. I’m really proud of him. I get a lot of comments when he gallops by this morning a couple of trainers were commenting on how great he looked, especially for what he’s done all year long. He’s a hearty animal and he’s a good feeling and high spirited horse who has kept his edge. So like I said, I’d be very surprised if he didn’t at least (inaudible) this race on Saturday. Jim Mulvihill: All right, Jimmy, we’ve covered a lot of ground, and you answered a lot of questions for us, so I just want to tell you how much we appreciate your time and wish you luck on Saturday with both these colts. Jimmy Jerkens: All right, thank you very much. Jim Mulvihill: All right, thanks so much, Jimmy Jerkens. On Saturday he’ll saddle V.E. Day and Wicked Strong in the Jockey Club Gold Cup, the top two from the Travers; Wicked Strong looking for his second Grade 1 win, and V.E. Day, who almost ran for a tag at Gulfstream this winter, as we just found out. It should be a great Jockey Club Gold Cup on Saturday, which also leads into our next guest, and that is Eric Guillot, the trainer of Moreno. Let me tell you a little bit about Eric. Guillot is a native of New Iberia, Louisiana, which is in the heart of Cajun country. That’s the same town that gave us Eddie Delahoussaye. He grew up around horses and started training quarter horses as a teenager. Went out on his own for the first time in ’87 on the California fair circuit, then moved to L.A. as an assistant to Mike Orman before going out on his own again. In ’98, he and owner Mike Moreno established Southern Equine, which now has farms in Louisiana and Central Kentucky. They’ve won Grade 1s with fillies and mares like Santa Teresita, Mi Sueno and Champagne d’Oro. Now they’ve got one of the top older males named for its owner, Moreno. He’ll start Saturday in the Gold Cup, and most likely will follow that up with a return appearance in the Breeders’ Cup Classic. Let’s see if we’ve got Eric Guillot on the line. Jim Mulvihill: All right. It’s Jim Mulvihill in Lexington. Thanks for being on with us. Jim Mulvihill: We’re all really looking forward to this race on Saturday. We were just talking with Jimmy Jerkens, who has got the two three-year-olds in there. But, you know, when you go away from the three-year-olds, just looking at the older horses, one could argue that you’ve got perhaps the top older dirt horse in training. Have you thought about that at all, and would you agree? Eric Guillot: Yes, I really haven’t thought about it much, but people have been coming to me this past week because there’s a few retiring and it seems to be that’s kind of what the game plan’s looking like. It looks like I have—the last of The Last of the Mohicans, so to speak. Eric Guillot: Of older horses. Jim Mulvihill: Well, tell us about Moreno’s summer. It seemed like he kind of turned a corner up at Saratoga. Is he at his best right now? Eric Guillot: Yes, he’s at his best, but he’s been at his best since he broke his maiden over a year ago; a year and a half ago whenever it was—in June a little over a year ago. If you go back and look at the Form close, and everybody reads the Form, they should be able to look and see I think he’s run, I want to say, nine out of 12 triple digit Beyers. I mean what other handicap is nine out of 12? Eric Guillot: He’s missed the board when everybody thought he was a Met Mile horse, which I knew he wasn’t, and when he got hurt in the Breeders’ Cup Classic, and then one more race is the only time he’s ever missed the board. If you add up all the lists he’s gotten beat probably. His Form was good In Charles Town, traveling four times in a week, he had six, seven days before the race, he still ran third; beaten three to Game On Dude and Imperative off of a six month layoff. So I don’t think his Form has diminished in any degree since he broke his maiden back in June at Belmont Day, you know? Jim Mulvihill: It’s really amazing when you do look at it overall. So he’s really just a, you know, sometimes he’s just a victim of the setup then or circumstances, but…He runs his race every time essentially. Eric Guillot: Exactly. When you’re the speed of the race everything’s got to go your way. Is there another speed horse that can live up to you? Are you drawing a good post? I mean, you know, is the track going to play to your favor, or fractions going to make the race? Everybody gets in awe of the numbers more than anything else, but in my opinion as training this horse for two and a half years or two years and watching his races and knowing what I’ve been dealing with, the Suburban is—at a mile and a quarter at Belmont was his best race. He ran a 97, 96, whatever it was He run second, but still today it was his best race. I mean if you go back and you looked and see, every guru told me he says, Eric, he says, Guillot, you know, the 11th hole is deadly; like the configuration of the gate and the turn like that you hit bottom, you know. Sure enough, I broke with him and I was three lengths behind the pack; it’s just that simple, and all the way outside. So literally, once again, like I said this a thousand times, I had to go: 22 and change to go: 23 and change. I had to make up three or four lengths and shake him up and use him up, and then got pressed by another horse all the way for three quarters of a mile, got pressed on the hip, 110 and 1 for three quarters, 46 and 4 going a half for a mile and a quarter race—got pressed, put him away, got pressed by another horse who was one of the favorites down the lane, put him away, and then the horse that beat me comes from :25 off of it after I did all the running. And I think the final time, if I’m not mistaken if you have the Form in front of you, is either 2 minutes flat or 2 minutes and 1 or something like that. It was a fast mile and a quarter; 2 minutes (cross talking). Jim Mulvihill: Yes, it was. It was 2 minutes and 2. Eric Guillot: There you go; 2 minutes and 2 is a fast mile and a quarter, you know? Jim Mulvihill: Indeed. So looking at the race before that, you just mentioned that you knew that he wasn’t a Met Mile horse. Can you talk more about that? Eric Guillot: Yes, well, okay, so it’s interesting -a horse of a high cruise speed because he’s always had the lead, you know, everyone around me, my friends and my family and my partner, my assistant trainer, the jockey thought think that now that he’s more mature take the blinkers, take the earplugs off, try him in the Met Mile; it’s a lot of money. Okay, well, I’m like, hey guys, this is not an average horse. This is not the horse that is so consistent. Well, he’s not—he’s consistent because he’s got just tons of ability, but he’s a quirky-headed thing. The only reason why I got beat in the Woodward last month was not because my horse got outrun by Itsmyluckyday, it’s because Itsmyluckyday jammed on top of me coincidentally, and pounded against me for an eighth of a mile. And he’s running because he’s got heart, and Moreno’s like, hey, what the hell? What is this horse doing? He put his head up in the air and he’s like what’s this guy doing? Then after the gallop up, I got five in front of him again. So he’s got this quirky position about him. So he’s got this unbelievable ability. So you take all the handicap (inaudible), well, I’ve been working :57 flat in the (inaudible) if I wanted; if I shake him up. So that being said, when I took the Met Mile, if you go back and you look at the Met Mile when he ran dead last, I wasn’t surprised at all is that he put out three eighths of a mile and he put himself in the race, and he goes, (explicit) I can’t keep up, I can’t keep up. At 45 and change he goes—he just pulled himself out, put his head up in the air, let the dirt hit him—he moved his head back while dirt hit him and he ran dead last. Then he comes back and look at the Form after that, you know what I mean? It wasn’t like he had a problem or an issue, or he didn’t handle the track that day. Didn’t handle it that good. There was no excuse other than I know my horse, and that’s not him. He’s not a mile (cross talking). Jim Mulvihill: But he does seem to have a lot of desire and heart, because I mean when you look at it, I mean even when he gets headed in the stretch, he doesn’t fold. He’s still running second and third every time and making a ton of money running second even (cross talking). Eric Guillot: Yes, it’s not getting headed, it’s when they get to his hip. He has the earplugs, and when he gets the earplugs like that he hears the vibration of the horse. It’s a little tone and you don’t know how close you are, so when they get on his hip is when he tries. When they get past him, he won’t try as much. It’s almost like a wild Indian running from the posse, so to speak, or the Calvary. Jim Mulvihill: That’s exactly what I was going to say. It is exactly like that. Eric Guillot: Yes, so that’s kind of how he did it. I’m not saying that he—you know—he don’t try at all, I’m just saying that he’s one of those horses when he hears things behind him—that was the reason in like Saratoga where they have—I don’t know if you’re familiar with the paddock in Saratoga, but they have box stalls where you can saddle them in, of course, in the trees, but there’s a lot of activity behind the stalls; the golf carts, and the security and people—the fans and stuff kind of come on that road behind there. When you go to saddle him inside the Saratoga boxes, he just jets out like—he just runs on top of you and just runs out of there like a young horse that’s never been saddled in his life. You know, so I saddle him under the trees because I already know that’s how he’s going to act. So you’ve got to figure this horse out, that’s all, and I figured him out; earplugs, half cup blinkers with little peep holes, put him on the lead, use him up to get the lead and don’t try to reinvent the wheel. It’s just that simple. Jim Mulvihill: Yes, I hear you. Eric Guillot: So where do you think I’m going to be Saturday? Do you think I’m going to be on the lead Saturday? Jim Mulvihill: I would say it’s very likely. I mean you’ve said before that any horse that’s in front of you early is going too fast. Eric Guillot: Yes, exactly. That’s exactly true, because I already know I’m not going to try to do something, why would I change? That would be a fatal mistake. I did the Met Mile to prove that position. Van Cushny: The breeding says the longer the better for Moreno, but he is 0-3 at the 10 furlong distance, with two good seconds. I was just wondering if you think that’s an issue in this race. Then my second question is who do you think is the horse to beat? Who are you most concerned about in this race? Eric Guillot: Well, I don’t think that’s an issue at all, because I think this is two better races actually at the (inaudible) distance. He might be 0-3, but then again, I think he was 0-16 at the other distances. So if you think like that he’s 0 for 3 races out of 20 or whatever it is; 19, 20, whatever starts he’s got. So that being said, he would be 0 for more at the other distances. So as far as for that, mile and a quarter is better. A mile and a half would even be better probably for a horse like him. If you go back and watch his races, everything a mile, all his races, if you watch the horse gallop out you’ll see how much he is like his dad; you know, how much ability he really has. So I think that’s not a problem whatsoever. It’s going to be the—hopefully if it’s at nine, I think they expect an eight or nine, something like that; nine maybe. So I’m hoping I get five inside, you know what I mean? Two, three—three, four, five would be ideal for me, I would think, for the configuration in the gate. So that being said, and I think the other horses—the horses to beat is all of them like any other big race, but if I had to pick the horse I think Wicked Strong’s going to be up there contesting with me. Probably he’d be the horse that we’d have to worry about the most. As far as he seems to be also really consistent as well as a good three-year-old. V.E. Day has come off the pace and looked like he should relish the mile and a quarter like he did the other day. But I mean really the Travers, if you go back and you look at time, the Saratoga track has been pretty consistent, I wouldn’t say like, oh, one day it’s lightning fast and the other day it’s slow, on Travers Day it was consistently pretty fair. So I think they went almost 27 the last quarter and they went 2:02.4 I think, right, or 2 something like, right, that for the Travers? Van Cushny: Right; 2:02.4 is right. Eric Guillot: Right. So to me they’ve got to pick up the—they have to giddy up and go a little bit more if my horse runs his race. Van Cushny: Great. Good luck. Eric Guillot: Thanks, buddy. I appreciate it. Danny Brewer: The Whitney, was that his best effort do you think of his career? Eric Guillot: No, like I said earlier, I think the Suburban was his best effort. He made some good efforts, but I think the Suburban was his best effort. I mean it’s a long, big sandy, ran hard, had to spot him three lengths from the configuration of the gate to get the lead; 46 and 4 mile and a quarter, 110 and 1, pressed all the way by three different horses. Two or three different horses pressed him every step of the way, and Zivo come and got him, you know, from 15 off of it down the rail. He didn’t even see him. He was right in the middle of the track; come and got him inside the 16 pole, and they went 2 minutes and two fifths a mile and a quarter in big sandy, so I mean to me that was a pretty big effort. Danny Brewer: Talk about the connection that you seem to have with him. I mean you can even do impressions of him; voice impressions, like you know what’s going on through his head. How much have you guys just kind of bonded, and now that, you know, like I said, you know him better than anybody, right? Eric Guillot: Yes. Of course, of course. I start 4:30 in the morning, seven days a week with my horses. I know every one of my—every pimple and hair on my horses. So, yes, I do know him, and, you know, he’s the kind of horse you train light, you work fast, you work fast for the most part, you run on his mind a little bit and you school him, school him, school him. We will leave tomorrow morning to go to Belmont and I’ll school him Thursday, and I’ll school him Friday, and I’ll school him in the gate on Friday or Thursday, I haven’t decided; depending on what the timeframe is. How many horses—older horses four years that run in that many Grade 1s and 2s and you’ve got to go school them in the gate? If you go back and look at the Whitney, he left flat footed. I mean he broke like second or third to last. Why? Because he was looking to the crowd or whatever, looking to see, hey, what the hell is going on over there. He took a lookie you know what I mean? That’s the reason why I school him and that’s the reason why he has the equipment that he has and runs with, and why he gets on the lead so he don’t have too much to think about. He’s like, okay, where are they? Where are they? Where are they? You know, hey, look where I’m at now. Let me see if I can get to the front, you know. Danny Brewer: So do you think from based on what you’re saying as far as the distance and stuff like that and with the Met Mile, do you think Breeders’ Cup Turf Mile is definitely not in his scope; that he’s definitely a Classic horse? If he’s running at Breeders’ Cup it’s going to be Breeders’ Cup Classic? Eric Guillot: Danny, Danny, Danny, did you not pay attention? You need to go on Blood-Horse and watch Lenny’s piece, the interview with me and Lenny Shulman. It was classic. Lenny asked me all these questions about his build , then he goes what about the Breeders’ Cup Mile? I go——golly, do you want to be another victim? I ran the horse in the Met Mile for one reason, so people will quit asking me to try to make Moreno a miler. It’s that simple. That’s why I ran him in the Met Mile. Once again, it’s the truth. That’s the reason why I did it. It was like I was not surprised he ran dead last; at all. Look at his Form. Look how good the Form is, and then look at the same horses that beat him I’ve come back and beat, you know what I mean? Danny Brewer: Right on. Right on. Obviously you know him better than anybody, and, man, I sure wish you the best of luck on Saturday. Eric Guillot: Thanks, Danny. I appreciate, buddy. Have a good day. Tim Wilkin: Hey, Eric. Can you talk a little bit more about the (cross talking)? Eric Guillot: Who is this? Is this Tim Wilkin from Albany? Eric Guillot: I thought you were blackballed off of my interview list? Tim Wilkin: Yes, I was, but I snuck back in. Eric Guillot: How are you doing, buddy? Tim Wilkin: All right. Can you talk a little bit more about how formidable Jimmy Jerkens’ two horses could be in this race after their Travers? Eric Guillot: Well, I don’t know—probably nobody knows this, but I did bet V.E. Day. I made a couple thousand dollars on V.E. Day on the Travers. I loved him on the Form. I don’t even look at the Forms and handicap that often. I looked at it because of the Travers for a few minutes in my office one morning, the morning of the Travers, and I told my partner, I think my partner made about 7 grand because he put him in all kind of Pick 4s and things like that. You know, if you look back at his form it looked like he was going to come off the pace, and it was going to set up for him with Bayern and Wicked Strong. I mean I know he just nosed him, but he looked pretty good, so. You know, once again, the Travers, I thought it was run—I mean it’s three-year-olds, and I spoke the other day if you go back and look at the last three-year-old that won the Breeders’ Cup Classic we had to do quite a bit of thinking a few years back. So is a four-year-old—a good four-year-old better most times than a three? Yes. Is a good three-year-old really good—can be really good? Yes, it can be. You know, I thought the last quarter of the Travers left a lot to the imagination, you know what I mean? So like I was saying if my horse runs back to his form in his races and he gets everything his way, I think that last quarter they’re going to have to pick up the pace a little, you know? Tim Wilkin: Now are you doing any voodoo for this race? Eric Guillot: No. If I do the voodoo I’m saving it all for the Breeders’ Cup Classic actually. Eric Guillot: I wouldn’t even know how to start with—yes—no, for everybody that’s going to need it. You know, I’ve got a 1-800 General (inaudible) for Jerry Hollendorfer for the General. I’ve got to see about getting —break out them cobwebs off the old Baffert—the SpongeBob Bob Baffert voodoo doll I guess, you know, and see who else is going to be in there. Tim Wilkin: Everybody’s safe (cross talking). Eric Guillot: I’ll do some Amazon shopping. Tim Wilkin: Everybody’s safe for the Jockey Club Gold Cup? Eric Guillot: Yes, what about Itsmyluckyday. I’ll get next the (inaudible) People tell me—some people say that he’s running the Kelso, they’re going to run him in the Breeders’ Cup Mile, and then some interviews say—some of the journalists write that he’s going to run in the Classic. Have you got any kind of clarity on that? David Grening: Eric, two questions. He worked 1:03 and 1 the other day. That’s about as slow as he’s ever worked. Can you just talk about why that was? Eric Guillot: Well, because I’m not a big fan of the Oklahoma track for old horses. It’s got, issues, , soundness issues, and it was one of his early mornings. You know how Moreno is, you’ve seen it, I didn’t want him to go—he worked 59 on that track and it took me a few days to get him back way back when before the Met Mile or whenever it was; I think back before the Suburban. So I threatened the jockey—Junior Alvarado came up to work him and I think I kind of scared him off. Moreno’s one of those kind of horses, David, if you shake him up and get him rolling in the first part he’ll roll throughout the work, but if you let him break off too slow then he’s going to work too slow unless you really shake him up, you know what I mean? It was overcast, kind of a dreary morning, early, and when he got to the 16th pole he seen 20 people on the rail and all he did was pop his head up. Then he galloped out, but he galloped off a very aggressive mile. I’m not worried about it. He’s fitter than a trout swimming upstream, so I’m not worried about that. David Grening: The other question was there’s a horse from California coming in off some synthetic racing. I believe he set two track records on the synthetic out there; Big Cazanova. Any concern about him being a fly in the ointment early in terms of giving you some trouble upfront? Eric Guillot: Yes, Pete Miller’s horse. Is he coming for sure, David? David Grening: Yes, sir. He is coming. Eric Guillot: Oh he is, hey? Yes, I mean that’s not a good thing. I mean I don’t know why he would come all the way here. His Form in the dirt is not near as good as the synthetic. Now that Game On Dude and no speed horses, he would be the lone speed in the Awesome Again against Shared Belief, you’d think he would stay there. But am I scared of him beating me? No. Am I scared of him hurting Moreno’s chances? Of course. I mean, it’s just—anybody knows going head-to-head with the speed horse is not the smart thing, and if he goes—I mean maybe this is going to be the ultimate time if he goes out there and he wants to get the pace and faster than I want to go then I’ll sit right off of him. If he lets me inherit it out of the gate, then I’m going to take the fractions. Moreno does not have to have the lead “surge” right now, right down from the moment in the gate. What he don’t like is when there’s four or five in front of him and he’s inside a wall of horses or there’s dirt in his face. You follow me? That’s the difference. He’s been off the pace before. I mean he’s run five and a half furlongs and got beat a neck from dead last turning for home in the past, but he was outside of all the horses and no dirt in his face, and it’s a different scenario. David Grening: Very good. Just to confirm, you’re shipping him tomorrow after training or early or…? Eric Guillot: Yes, 9:30 he’ll leave Saratoga and get there around 1 o’clock or so; try to miss the traffic and get him trained in the morning here. There’s a—when is the horses from California getting here; today—tomorrow as well? David Grening: I think actually that plane is Thursday, but I’m not 100%. Well, (inaudible) but Pete Miller’s horse is not on that flight from—he’s going to be here Wednesday, yes. He’s’ coming on Wednesday. Eric Guillot: Yes, they’ve got to. I mean if I’ve got to be there Wednesday, I would imagine the rest would have to be there, too, even if that was the exception to the rule. David Grening: Yes, well there’s always those—you know—steward’s exceptions (ph) like they had on Belmont, so. Eric Guillot: What color shirt is he wearing? David Grening: I knew you were going to ask me; grey sweatshirt. Eric Guillot: Are you going to be down there? David Grening: I’m here now. Eric Guillot: I’ll see you when we get there. Okay, David. Eric Guillot: All right, bud. Operator: Thank you. The next question comes from John Forbes, the New York Racing Association. Please go ahead. John Forbes: Yes, Eric, you’ve talked extensively about how well you thought Moreno ran in the Suburban when he was caught upside and the odd configuration for the mile and a quarter races. At Belmont, just given the fact that the field’s probably going to be a little bit smaller than it was in the Suburban, what kind of draw and setup would you like to see for Moreno on Saturday in the Jockey Cup Gold Cup? Eric Guillot: Well, John, or as we call you in Saratoga, Playah (ph), let me tell you, I mean I think (inaudible) will appreciate this one. I think if it’s an eight, nine, 10 horse field, I’m not sure exactly how many but it’s looking about nine, so I’d say three, four, five would be my ultimate spot I would love to see with a speed horse on the rail, you know, of course, or Pete Miller’s on the rail would be great. John Forbes: Can you not comment briefly on how well Junior Alvarado seems to get along with Moreno? Eric Guillot: Well, Junior’s he’s a strong kid. He’s very strong and powerful, and Moreno needs to be shaken up. He rode him exactly—he’s ridden him three times, and two out of three times he rode him flawlessly. The last time he still rode him good, he rode him great, you know, and he—it’s not Junior’s fault because he really just didn’t know the horse enough like I did to tell him. My only warning is once you’re coming for home if something gets on your side, get away from him. If they come outside, go in a jump or two. If they come inside, go out a jump or two. The horse does not want anything right next to him. So Junior’s already been told, that little flaw in him is something that we have worked on, and that he knows to do, you know, if we find ourselves on the lead turning for home, John. Jim Mulvihill: All right, Eric, one more question. As fast as this horse is, are you sure you don’t want to think about the Breeders’ Cup Mile. Eric Guillot: Yes. I wonder how they call me a genius with a (inaudible). Jim Mulvihill: Eric, this has been a really fun time talking to you. We wish you luck on Saturday. Thanks for joining us. Eric Guillot: All right, buddy. I appreciate it. Thanks for having me. I’ll see you on Saturday. Jim Mulvihill: All right, any time. That’s Eric Guillot. Moreno’s going to run in the Jockey Club Gold Cup, and then most likely the Breeders’ Cup Classic five weeks after that. We’ll go to our last guest now, and that is Richard Mandella, who, of course, has Beholder in the Zenyatta Stakes on Saturday at Santa Anita. A little bit about Richard. A member of the Hall of Fame, Mandella is approaching 2,000 wins. He has more than 200 graded stakes wins, and by my count this morning, 72 of them in Grade 1s. Eight of those Grade 1 wins came in the Breeders’ Cup, including, of course, four of them in 2003, and then he’s added Breeders’ Cup wins each of the past two years with the filly we’re talking about today. Beholder will try to notch her sixth Grade 1 Saturday in the Zenyatta is a race she won last year under a hand ride. Richard Mandella, it’s Jim Mulvihill in Lexington. Thanks for joining us. Richard Mandella: Yes, how are you? Jim Mulvihill: I’m doing great. Thank you. We haven’t seen Beholder since Belmont Day when she ran fourth in the Ogden Phipps. Can you just tell us a little bit about the injury she sustained that day and the severity of it? Richard Mandella: She had a pretty nasty I don’t know if you’d call it a cut or I’m not sure. It looked like it was mangled in a meat grinder. But she had a flap of meat that was about 2 inches deep that went from the half—the middle of her pastern up towards the top. So it had to be a—probably a toe grab on the horse in front of her coming backwards and her hind foot coming forwards and caught. The veterinarian in New York thought best not to stitch it, and it healed down very well; surprising to us. We thought we’d have to cut the flap off. But it healed down very well until she worked three quarters in 11 at Del Mar, and coming home she was jumping and playing and hit it and knocked it loose, so we had to trim it away and put five stitches in it again about a month ago; just short of a month ago. But saying all that, it’s healed up very well right now, and she’s had some good works and I think she’s in very good shape. Jim Mulvihill: Well, and these good works, I’d have to say that they haven’t gone unnoticed. We’re looking at only two horses outside of your own barn that are known to want to try this race on Saturday. How is this short field connected to people seeing Beholder in the mornings? Richard Mandella: Well, you’d have to ask somebody else that. I couldn’t answer that. She—if I was going to run against her and saw her work, I’d be impressed, I’ll tell you that. Jennie Rees: Yes, Richard, so how much training time did she actually miss? Richard Mandella: Well, she missed about three weeks coming out of New York, and then we were caught up at Del Mar a month ago when she hit it and knocked it, you know, just a hit knocked everything loose. It wasn’t as healed as well as we’d hoped, and she missed one week of training then. But I rode her an hour under tack in the morning and a half hour under tack at night, so it wasn’t that we weren’t doing something, we just weren’t going to the racetrack. So it kept her somewhat fit, you know. Jennie Rees: And last year she came into the Distaff, she’s had two races off the layoff. What do you expect her fitness level to be going into this race, and then maybe coming out of the race? Richard Mandella: I’m thinking that she’s probably not 100% for this, but she’s probably close. I’m not real good with math. I’ll let you do it. But she’s close and she can outrun anything in my barn, I think she’s fit and ready to go. But I’m pretty confident that this race would put her in her best shape for the Breeders’ Cup. Jennie Rees: Yes. How does she seem to be this year compared with a year ago? Richard Mandella: Pretty much the same. She’s, you know, she’s a mare that’s 95% of the time as sweet as a lamb. The other 5% she’s a bear. She’s aggressive and tough, and, you know, it might’ve hurt her how she schools in the paddock and that kind of stuff. She’s pretty tough to get home afterwards. But she’s smart enough that that works and makes her usually pretty good on race day, so. Jennie Rees: Are you really looking forward to a rematch with Close Hatches after—there was an excuse in the last race? Richard Mandella: Yes, I’m not into rematches and making up for it, you know. She doesn’t owe me anything, and if you run horses long enough they will get beat, there’s no doubt about that. I’ve never had a horse I’ve been more proud of, and I think she’s in good shape and I’m not really worried who’d be there on Breeders’ Cup Day, just hoping she’s at her best, that’s all. Richard Mandella: Let me back up. I wouldn’t want to say I’m not worried, I’m saying no more worried than I am about any other race. So, yes, I (inaudible) respect Close Hatches. I worry all the time, so it doesn’t make any difference. Jennie Rees: Yes, but I will back up. You said you’ve never had a horse you’ve been more proud of. Could you just elaborate on that about, you know, just for her whole career, or just…? Richard Mandella: Well, I think her record speaks for itself. Richard Mandella: I mean to be a champion two-year-old and champion three-year-old and beat the older fillies, to be there, you know, it’s—I haven’t seen it. It’s probably been done before, but I don’t know about it. I don’t know of it, so I’m pretty proud of her. Jennie Rees: Yes, sure. Okay, and final question, is it too bad they sent Henny Hughes to Turkey or wherever he is now? Richard Mandella: Well, okay. All right. I never met him, so I can’t (cross talking). Danny Brewer: Seven for eight lifetime at Santa Anita. I think the only time she didn’t win she finished second. Is that track made-to-order for her, or what’s your thoughts on that? Richard Mandella: If you watch a tape of that race I don’t think you ever saw a horse win easier than that. She also ran a terrific race in the Debutante there going seven eighths and really didn’t know what she was doing yet, and so—and beaten by a very good filly. So I think if I ran her on the turf she’d run good. I don’t think she needs any particular racetrack. Danny Brewer: So in other words, and this goes back to I guess the pride that you have in her, she’s just flat a race horse plain and simple do you feel like? Danny Brewer: When you look back at last year’s Classic, and when she turned for home and the move she made and all that, I mean one of her better moves ever. I mean obviously she’s had a ton of good races, but talk about that particular stretch run she had in the Classic last year. Richard Mandella: It was a duplication of the race she ran in the Zenyatta last year when she just opened up and won easily. And I thought, well, that’s great, but we’ve got Royal Delta and Sylmar and Close Hatches and some great horses in this Distaff, and I’m hoping she can win it. I was doubting she could win it as easy as she did, but it’s there on tape, so it’s for her to say, not me. Danny Brewer: Yes, and so in retrospect, when you consider the field, I know it wasn’t like a large field, but it was so deep and she really just whipped some tail, obviously you had to be very proud at that moment. Richard Mandella: Yes, and I never thought she got credit enough. They talked about the speed bias all day, and I actually took her out of her game and took her off the pace against the speed bias to run her race, and she never seemed to get any credit for that. I don’t know—I’m not—I would guess you know what I’m talking about. Danny Brewer: Oh, absolutely, absolutely. Richard Mandella: You know, everybody thought she had to be on the lead and I kept saying, in her training we don’t do that and she doesn’t need the lead, and Gary Stevens believed me and just went ahead and did it that way, and she showed what a class horse she was. Danny Brewer: So as we fast forward to Zenyatta Stakes and Ladies’ Classic in the near future, anything that you’ve changed or is it just Beholder being Beholder? Richard Mandella: No, there was nothing to change. The only thing to do was to heal the injury we had in New York, and that’s taken a good amount of time. But she’s the kind of mare you can train as fast as you want or as easy as you want, so I think she’s trained well enough to be ready, and we’re going to find out Saturday. Nicole Newlist: Hi. Thank you for being on the call and taking my question. We’ve talked a lot about Beholder on this call, but I actually wanted to check in with one of your other horses who seems to be coming into her own, Moulin de Mougin (ph). I know she did a lot of running down the hill at Santa Anita which makes—earlier in her career which made sense as the daughter of Cambiocorsa, and she seems to be really coming into her own this year going longer; was knocking on the door, won the Mabee last out. She’s training; she’s training long. What are your plans for her? Richard Mandella: Well, I’ve always been known to be a little slow in my thinking, and I thought because of her mother she wanted to run six and a half on the turf, and it took me awhile to figure out she wants to go a mile and a eighth, a mile and a quarter on the turf, so the John Mabee kind of proved that out. Nicole Newlist: Do you have any more races in mind for her going forward? What are your plans? Richard Mandella: Well, she’s going to run in the Rodeo Drive here the 27th, and we’re hoping the Breeders’ Cup Turf for Mares a mile and a quarter on the Breeders’ Cup Day. Art Wilson: . With Beholder’s injury at Belmont, did that happen during the race, on the gallop out? Was there any way to tell? Richard Mandella: We could never tell. Gary Stevens thought he felt something as they went into the turn of the race at Belmont, but as bad as it was, it’s hard to imagine that she didn’t really bobble or do something. But all I know is she didn’t have it going out there and she had it when she got back, and that’s all I can tell you. Art Wilson: Okay. How tough of a decision when you found out that Gary wasn’t going to be able to ride her on Saturday, how tough of a decision was it to go with Mike Smith? Richard Mandella: It wasn’t tough at all. Whenever you get Mike Smith you’re pretty excited about it, I’d say. But, you know, Gary’s always been good for me. We’ve always had a lot of luck together and a lot of success, and I hated to see him go. But going to Mike is not anything but good to think about. Art Wilson: Has he been on her yet at all in the mornings? Richard Mandella: Yes, he’s worked her twice, yes. Art Wilson: Okay, and what’s your personal review so far on the new track out there at Santa Anita? Richard Mandella: I think it’s great. I think it’s the best we’ve seen in a long time. Van Cushny: Yes, Art Wilson asked my question as well, but if you could just—you say Mike Smith’s been on her twice. Do you give him any particular instructions on race day, or does he seem to be getting along with her, or just talk about the switch from Stevens to Mike Smith a little bit more if you could? Richard Mandella: He got along great with her, and she’s actually very nice to ride, so there’s—you know—it isn’t like a tricky horse that somebody needs to figure out anything. She’s quick enough to go to the front and you can take her back if you want. So I don’t think we need any more practice. I think it’s time to get into the game. Jim Mulvihill: All right, Richard, I’ll just ask you one more question. We didn’t mention Tiz the Key, but she’s probable for this race as well, and broke her maiden on the dirt, so is she has a good chance to be competitive in here I would think. Can you just talk about how she fits in this spot? Richard Mandella: Well, she’s a nice filly that’s just kind of coming into her own. I’ve always thought she would like the dirt better, and I wasn’t really thinking of aiming her at this race, but I heard a rumor that the race was not expected to have a very big field, so I thought I might at least enter her and if I’ve got a chance of getting some black type in a Grade 1 race, that’s worth it to the breeding farm that owns her, so that’s where I was at. Jim Mulvihill: That’s actually what I thought looking at it (cross talking). Richard Mandella: I don’t see her beating Beholder. Jim Mulvihill: Richard, we really appreciate your time today. It’s been great talking about Beholder once again, and maybe we’ll talk to you again before the Breeders’ Cup. Good luck on Saturday. Richard Mandella: Well, thank you. Jim Mulvihill: All right, that was Richard Mandella. Thanks once again to all of our guests today, not just Richard, but also Jimmy Jerkens and Eric Guillot.